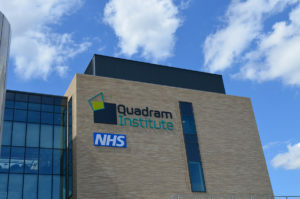 The Quadram Institute (QI) is the latest centre of excellence to be opened on the Norwich Research Park. It brings together clinicians from the Gastroenterology Department of the Norfolk and Norwich University Hospital (NNUH) with scientists from Quadram Institute Bioscience (QIB) offering the opportunity to study the relationship between food science, gut biology and health. Early in January around 50 clinicians and scientists came together in the first of a series of informal meetings to discuss networking, and future clinical and scientific opportunities. The event, co-hosted by Professor Erika Denton (Medical Director, NNUH), Professor Steve Feast (Honorary Professor, University of East Anglia (UEA)), Bernard Brett (Consultant Gastroenterologist, NNUH) and Professor Ian Charles (Director of the Quadram Institute) allowed the attendees to introduce themselves and explore the opportunities to develop clinical research in the area of gut health. 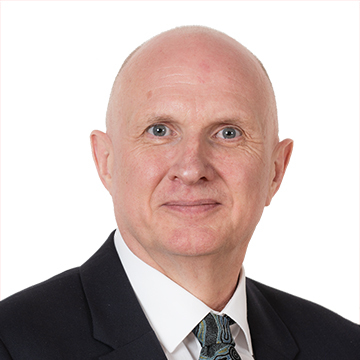 The work of the Quadram Institute aligns with the UK government’s Industrial Strategy, which is aimed at “Building a Britain fit for the future”. One of strategy’s ‘Grand Challenges’ is “Healthy Ageing” and this is a key focus for the Quadram Institute. It aims to employ high-tech food innovation and cutting-edge sequencing and bioinformatics approaches to the development of personalised nutrition and medicine.